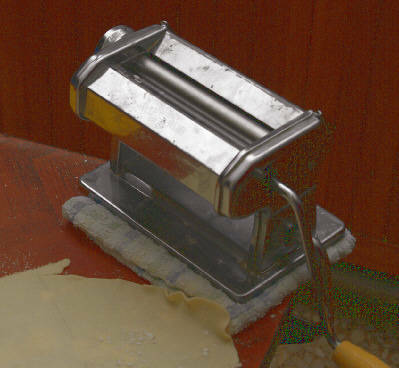 This is the pasta machine I use to roll out phyllo dough. It’s very simple and clamps to a table or work surface. I put a folded towel underneath so the work surface doesn’t get scratched. 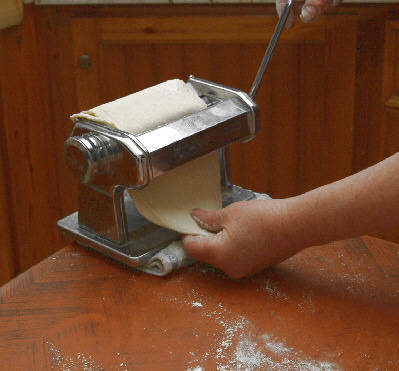 This pasta machine has 10 thickness settings from 1 (thickest) to 10 (thinnest), and makes strips about 5 1/2 – 5 3/4 inches wide. 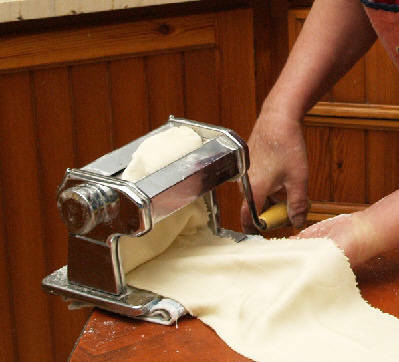 Use dough directly from the refrigerator. Start with a handful of dough and cover the rest with plastic to keep moist. It isn’t important exactly how much you use, as long as it’s a good chunk. I usually take a piece the size of my palm and about an inch thick. 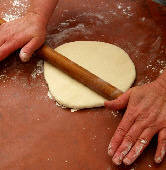 Working on a floured surface, and with floured hands, pat the dough down into the shape of a burger. Set the machine to 2 (the second thickest setting) and run it through. Fold the resulting strip in half and run it through again. Repeat a third time. 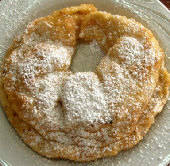 This will soften the dough and prepare it to be made into a thin sheet. 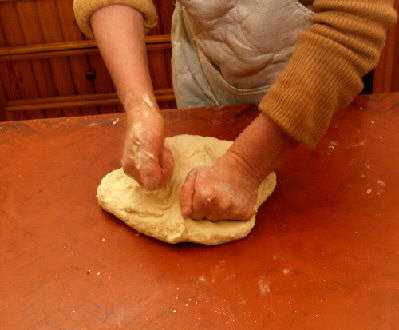 Add more flour to the work surface if necessary, and roll out the dough. 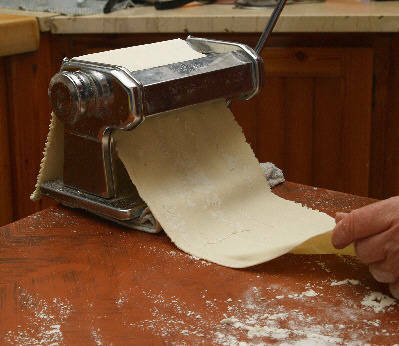 For the small fried cheese and savory pies that we’re making in this series, use setting number 6 (photo). If you’re an experienced baker ready to use thin sheets for baking, run the dough through setting number 9 to roll out the thin sheets. 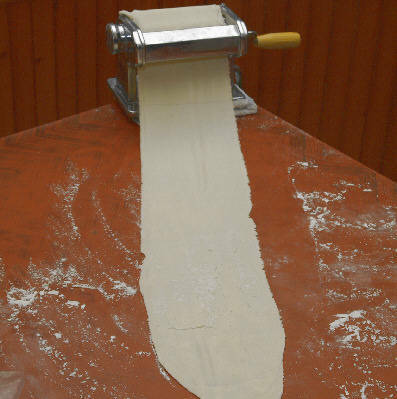 Hold the end of the phyllo as it comes through the machine, drawing it out gently to lay flat. Just give the phyllo a hand as it comes to the end so it doesn’t double up on itself. 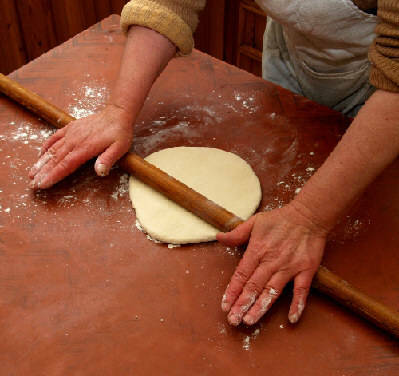 Lay the sheet out flat on a lightly floured work surface. When the sheet has been completely rolled out, it’s ready to use.